Give your plant pots a little lift with the bronze hedgehog plant pot feet set, these have been designed for Potty Feet and are made from a durable weatherproof SGS certified poly resin. It is hand painted in an antique bronze colour that meet the highest safety and environmental standards. The hedgehog comes in a set of 3 so that your plant pot stands evenly balanced on any surface whether in your home or outside displayed beautifully on your decking or patio. A bit about the brand: With a passion for gardening and a love of the outdoor Jardinopia has designed a range of plant pot feet under the company brand ‘Potty Feet’. 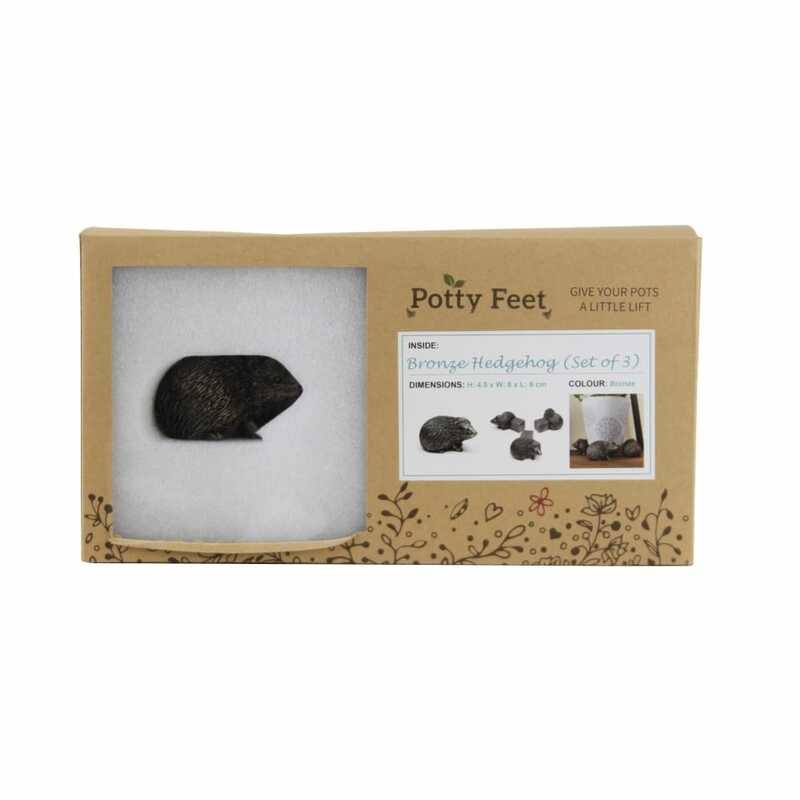 Our pot feet come beautifully presented in recycled and branded packaging, and make ideal gifts all year round. Children will also enjoy watching their flowers grow in pots with these charming companions to look after their plants, meeting another aim we have which is to encourage children into the garden to have fun whilst understanding the natural environment around them.